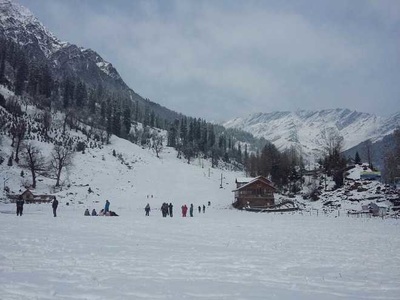 The pine forests surrounded by snowcapped peaks and flowing Beas River makes Manali one of the favorite tourist destinations of Himachal Pradesh. The best way to explore the mountains is through trek, and what best is to trek in snow. 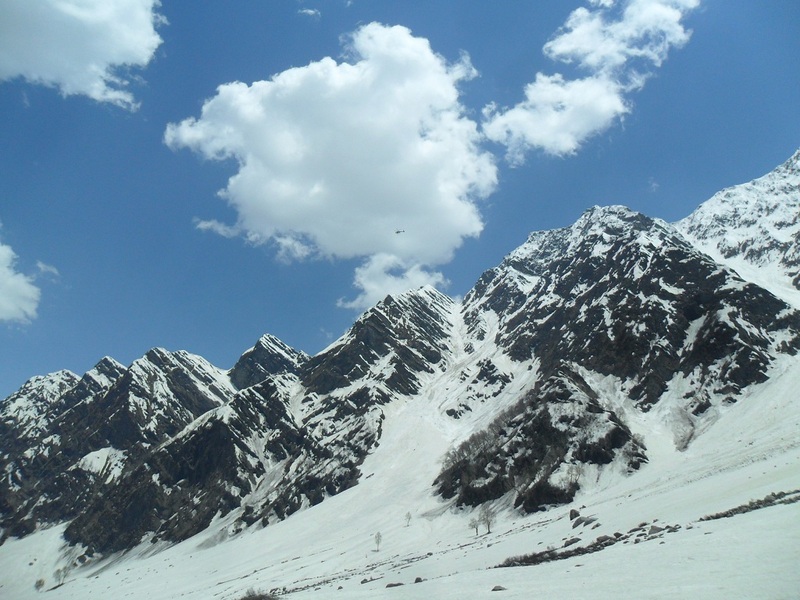 The mountains will look stunning in snow and winters and the white beauty will look magical. 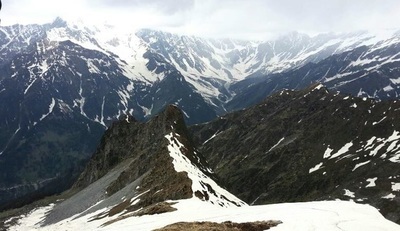 The Pir Panjal and Dhauladhar ranges will look milky white and snow flakes on lush green forest will look a scene straight out of fairly land. Lakes will be frozen and the snow covered peaks and ground will be more than enough fodder for beautiful pictures and life time worth of memories. 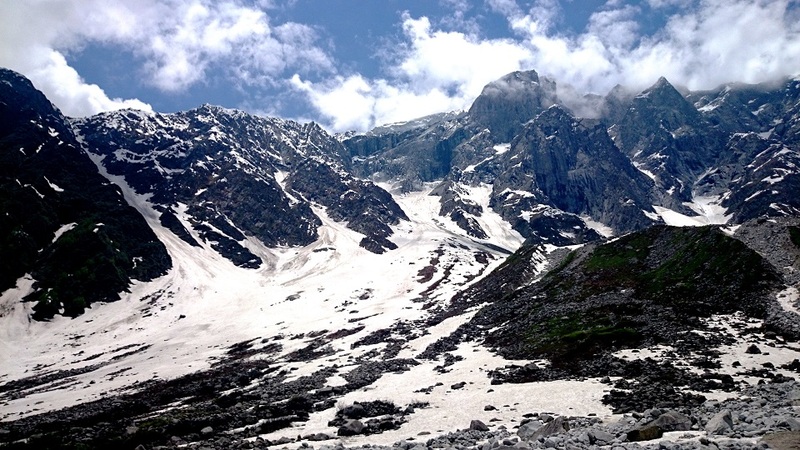 which is 14km from Manali, have welcome drink and greeted by our courteous staff. Enjoy breath-taking views and awesome weather throughout the year. 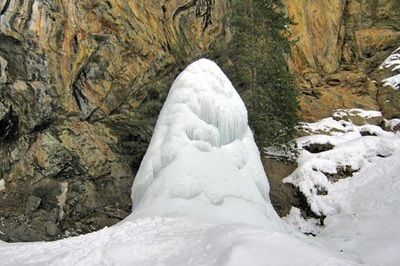 Get acclimatized for next day journey by visiting to Anjani Mahadev Temple and get blessed by getting darshan of the magnificient waterfall dropping over the Lord Shiva’s Lingam, just like straight from the movie Bahubali, visit to the nearby Ashram of a great saint and enjoy the views surrounded by green mountains. Solang is your gateway to bliss. 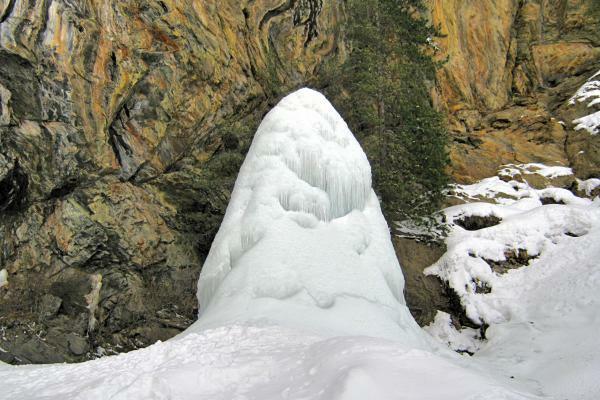 Indulge in some adventure activities and games like tug of war, rappelling or rock climbing. Or take a leisurely stroll in the meadows and do some last minute shopping for eatables from the small shops nearby. In the evening enjoy some bonfire and relax after a long and tiring day. 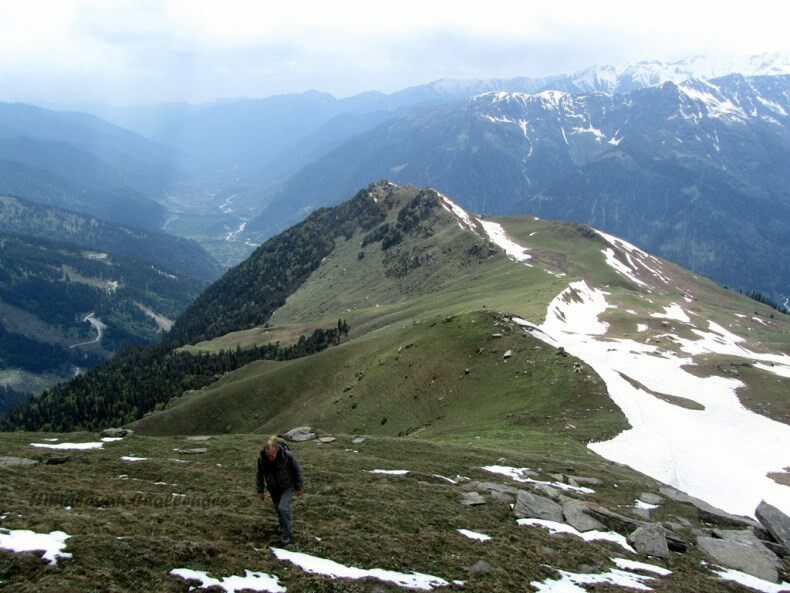 Lets get ready to take a hike towards Shagadugh, the base of Patalsu peak which is a fairly easy trek of 6 km. 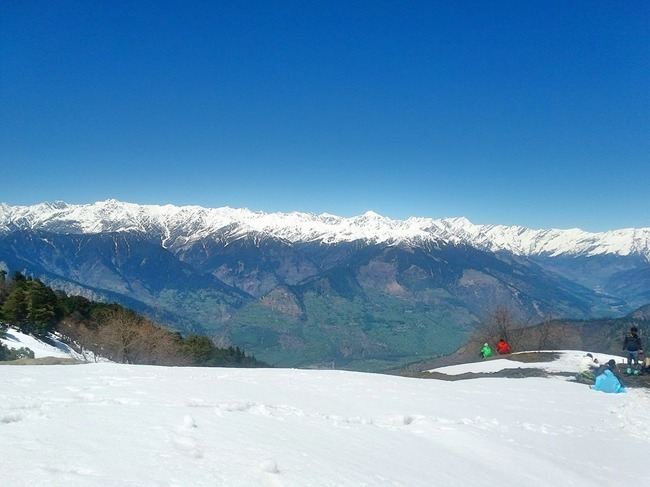 We trek to the village and onward to a clearing in the forest, Shagadugh from where one can witness sweeping views of the various peaks of the Manali valley. We spend some time there and head back to the road head at Solang. From here many great peaks like Friendship, Ladakhi, Rocky Challenger etc are visible from a distance, we wil head back to our camps in Solang after spending some time here. 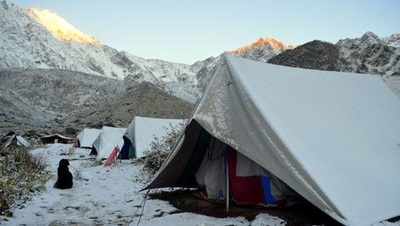 Today we will start early after breakfast and reach Dhundhi before afternoon, from here we head towards the legendary campsite of Bakarthach, which is situated at 3300 Meters altitude.Way to Bakarthach is a little more steep and tiring as we climb up over stones and moraines as well as cross small rivulets. The last leg is little steep and tiring. 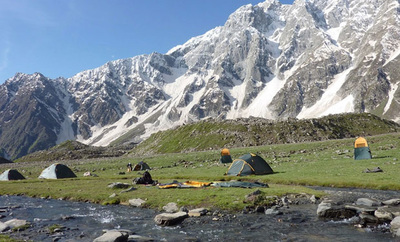 Finally we reach our beautiful camp site at Bakarthach. which is surrounded from three sides by Majestic Mountain Peaks, On our left would be Hanuman Tibba (5892 meters), Shitidhar Peak (5250 meters) and on our right would be Friendship Peak (5300 meters), Ladakhi Peak (5345 meters) etc. 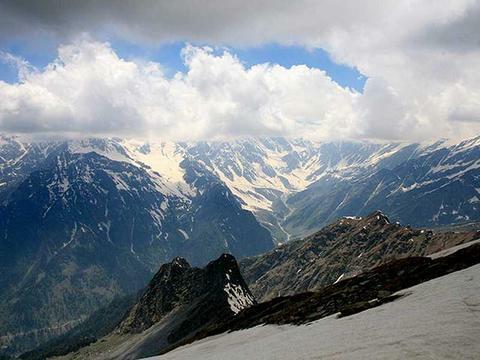 Its an amazingly beautiful panaromic view to satisfy the trekker in you. There some stone shelter and availability of water and wood. We camp here tonight among beautiful stars with bonfire and some music. Carry enough warm clothing as it will be intensely cold here. 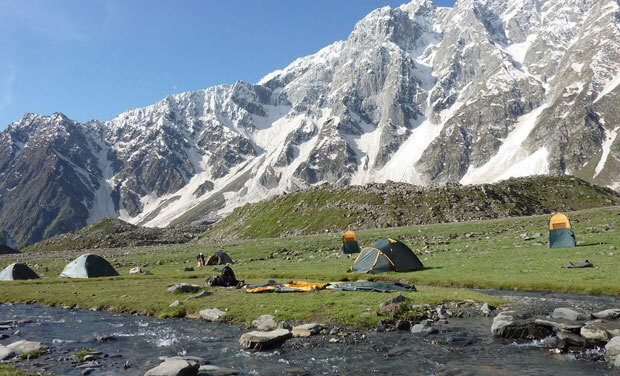 After breakfast we head back to Solang and camp for other night. We can indulge in some games, round of antakshri, some adventure activities and in the evening burn campfire and enjoy the conclusion of our journey amid open sky and stars while we marvel at the beautiful pictures we clicked during the trek and enjoy the wonderful memories.